As Salaamu Alaykum, Thank you for visiting our website. Here is a chance for you to get this Hajj and Umrah Kit for Free. put your name down for one of these kits, you will get a chance to win both times. No need to put your name down every month, just once. 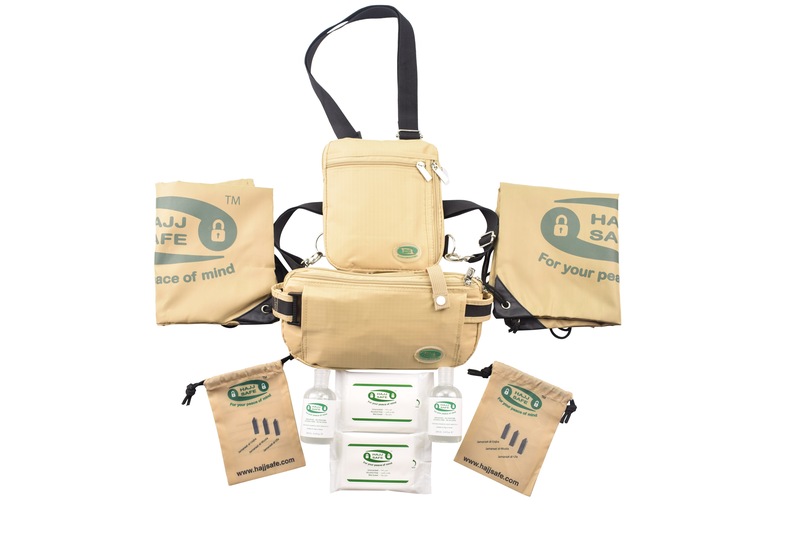 This kit contains the main items that you will need for Hajj or Umrah. Tell us in the DETAILS section below - What does Hajj or Umrah mean to You? We are looking for the most creative, honest well written statement. "Hajj for me means, fulfilling what Allah has obligated and sacrificing all the comforts of this life and being on equal levels with everyone else.Worshipping Allah without any labels or signs of wealth and status. Stripping away my ego and pride to experience what it might be like on the day of reckoning to be in front of Allah. It is an opportunity for me to connect with Allah in the best of ways in the most sacred of months, to the One who created us in the best of forms and extracted our souls from Adam. Fulfilling my commitment to the covenant that we all made back then that Allah is our Rabb." Jazak'Allah for your help and support - please feel free to tell others and share this page on social media and also please do look at our products on this website for more details. These products are designed especially for pilgrims going for Hajj or Umrah.